This thing better pack a punch in the weapons department, because it's not going to surprise an enemy with a speedy attack. 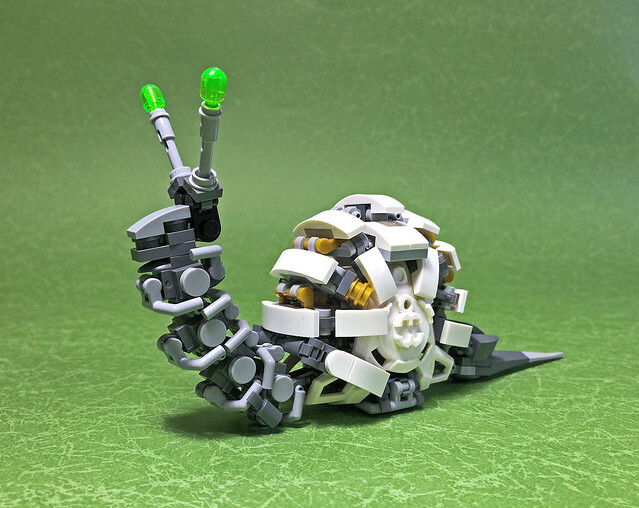 It's a snail mech, from builder ToyForce 120. I like to imagine a battle where a whole slew of mechanical species engage, and while the battle rages these guys slowly make their way in. And just when it seems the battle is lost, quite some time later, these guys creep in and save the day in some unexpected way. Slow and steady wins the war.